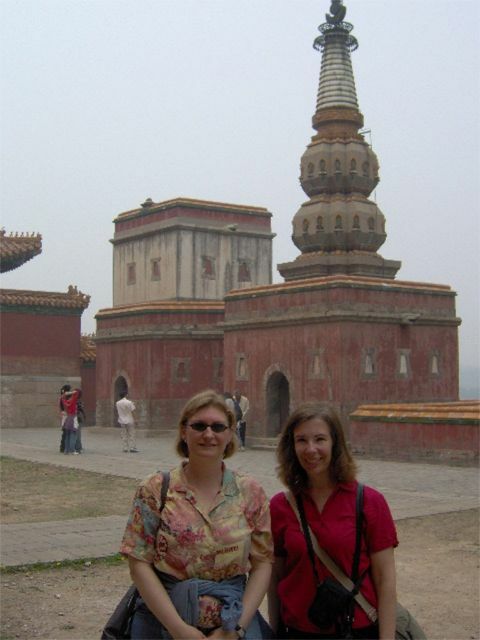 The Summer Palace was my first stop on my trip to China a few years ago. I hadn't been in Beijing but a couple of hours when my hosts, Sara and Karl-Ulrich, whisked me off to this gorgeous Chinese treasure. 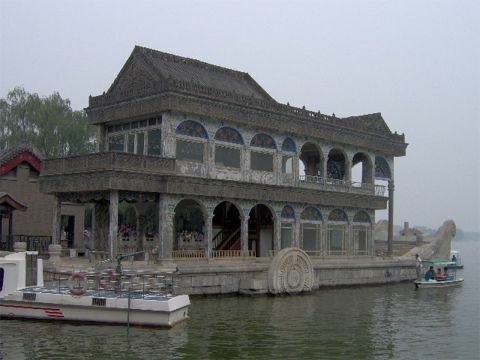 The Summer Palace is a historic palace and a masterpiece of Chinese landscape garden design. 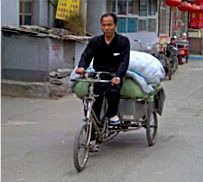 Located in Beijing, it is a not only a popular tourist destination but also used as a recreational park. 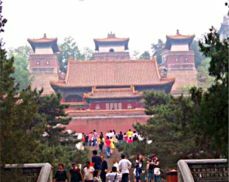 I've put together a photo essay of my day at the Summer Palace for you to take a virtual tour along with details on some of the places we visited. 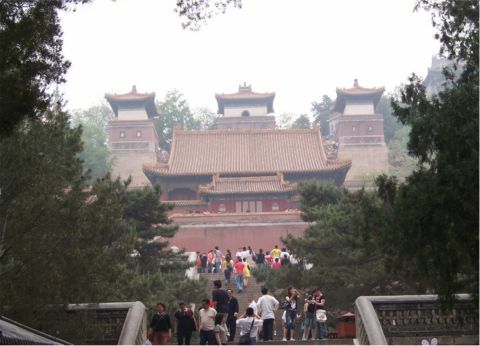 Climb Longevity Hill at the Summer Palace and you'll discover a variety of palaces, gardens, and other classical-style architectural structures. 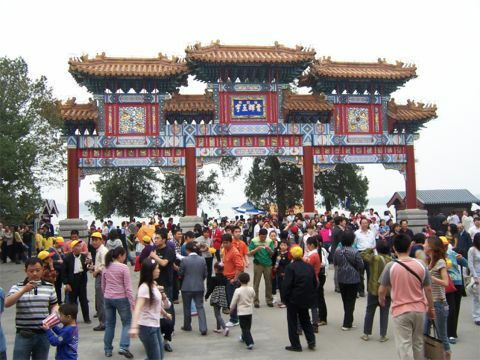 The Gate for Greeting the Moon is at the entrance to the Long Corridor along the northern shore of Kunming Lake. 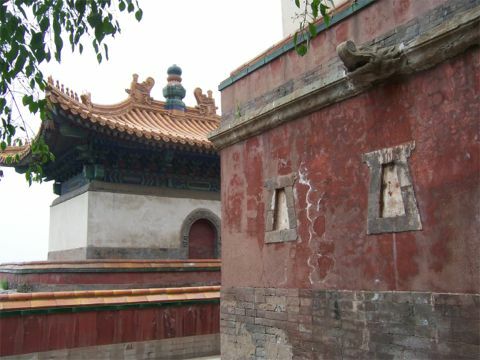 The Long Corridor is a covered walkway on the Summer Palace grounds in Beijing. 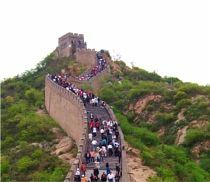 It was originally built in the middle of the 18th century and is famous for its 728 meters length along with its 14,000 paintings richly painted on the corridor interior walls. 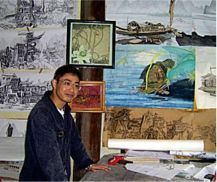 You'll be mezmorized by the beauty of the Chinese art in every direction as you walk through this enchanting corridor. 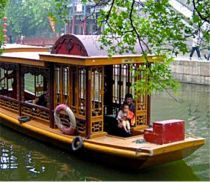 The Marble Boat is a lakeside pavilion on the grounds of the Summer Palace and is also called the Boat of Purity and Ease. 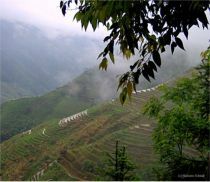 You'll find it on the northwestern shore of Kunming Lake and not far from the western end of the Long Corridor. 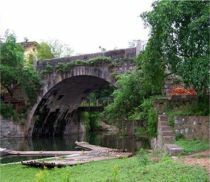 The Summer Palace grounds are packed with historic Chinese architecture including stone bridges over streams and lakes being navigated by vintage boats. There is symbolism in everything the Chinese people created from the colors chosen to the placement of statues. 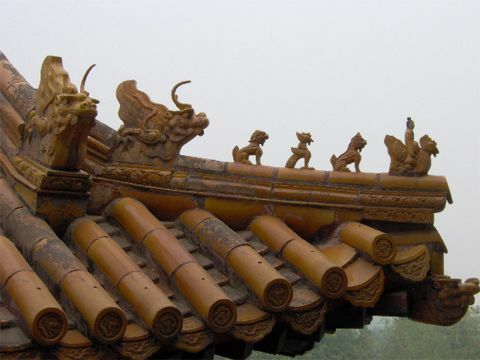 Imperial roof decorations or roof-figures were only allowed on official buildings of the Chinese Imperial empire. If you look at the head of the procession, you will see a man riding a Phoenix. An imperial dragon is always at the tail of the procession to represent the authority of the state. In between the Phoenix and the dragon there will usually be an odd number of mythical beasts, but never more than nine. The number of beasts in the roof ornament indicated the importance of the duties performed within the building. Also, only Imperial roofs were allowed to be golden yellow. 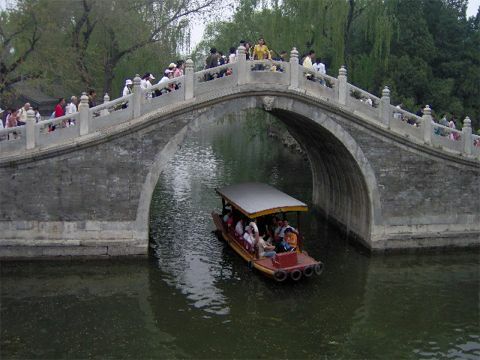 Don't miss a stroll through Suzhou Street while visiting the Summer Palace. 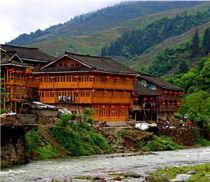 You'll pay a little extra to stroll this special shopping area full of Chinese artisans who practice calligraphy, musicians, and authentic restaurants but it's well worth a few Yuan for the experience. 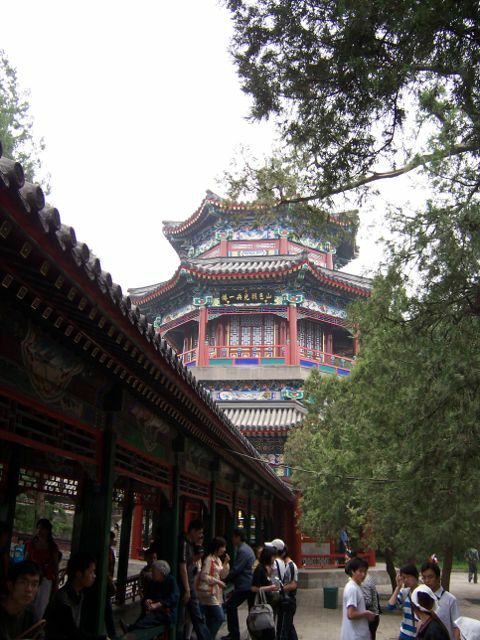 I hope you've enjoyed this short photo tour of the Summer Palace courtesy of my friend, Sara Pfau, and me. 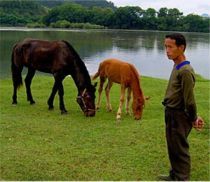 My ex-pat hosts knew all the best places to take me to so I could experience a true flavor of the Far East. No trip to Beijing is complete without planning a day to stroll the gardens of this beautiful park. 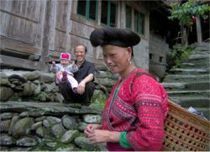 Want to know more about China and some of the countries customs? 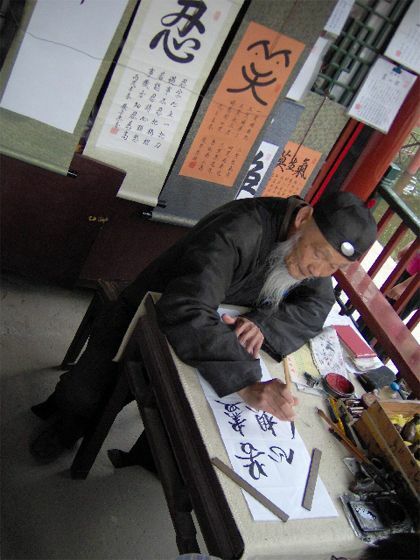 The Traditional Chinese Ceremony is a must do experience in China. Your vacation can take a year or more to save for and only a second to ruin. Before you go, you may want to purchase travel insurance through Travel Guard. Starting at $30.